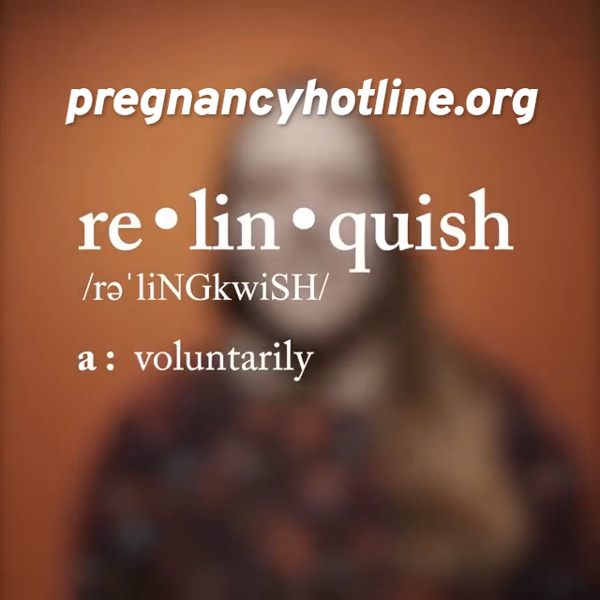 If you look up the word "relinquish" in the dictionary, it says: 'voluntarily cease to keep or claim; give up'. Listen to what birth parent caseworker, Hannah, shares with her clients. "A birth mother who makes an adoption plan must “relinquish” her rights to parent the child so the adoptive parents can have the right... it’s a very selfless and sacrificial decision made to give their child a better life than they themselves could provide". If you're confused about which path to take in your unplanned pregnancy, then at least talk to one of Gladney's Options Counselors so they share more information about what adoption would look like for you and your baby.